Diccionario Selvático es una aplicación donde encontrarás miles detérminos regionales propios de la selva peruana que son utilizadosen el lenguaje cotidiano por gente de la zona.Esta aplicación tebrinda palabras tradicionales con un claro significado con el finde ayudarte a entender algunos términos que comúnmente escuchashablar a personas que viven en algún lugar de la mágica selvaperuana. Te ayudará conocer y a hablar de manera más coloquial conlos pobladores de la zona.Puedes encontrar la palabra de la cualquieres saber el significado escribiéndola en el icono debúsqueda.Si bien es cierto muchos de estos, regionalismos opalabras típicas de la selva provienen del Quechua.La convivencia yunión de diferentes culturas que habitaron en la selva peruanaantes y después de la época del caucho y las influencias de losquechuas de los Andes originaron un vocabulario alegre y singularpropio de los pobladores de esta región del Perú, frases como "dela selva su encanto" para referirse a algo bonito propio dellugar.Estos términos en su gran mayoría son utilizados por ciudadescomo Iquitos, Tarapoto, Rioja, Pucallpa, Moyobamba, Picota,Tocache, Lamas, Bellavista y muchas otras ciudades de la selvaperuana.Sylvan Dictionary is an application where you can findthousands of own regional terms in the Peruvian jungle that areused in everyday language by locals.This application offerstraditional words with a clear meaning in order to help youunderstand some terms commonly hear talk to people who livesomewhere in the Peruvian jungle magic. It will help you learn andspeak more conversational manner with the residents of the area.Youcan find the word for which you want to know the meaning typing itinto the search icon.While many of these, regionalism or typicaljungle words come from the Quechua.Coexistence and unity ofdifferent cultures that lived in the Peruvian jungle before andafter the rubber boom and the influences of the Andean Quechua andcheerful originated own unique vocabulary of the inhabitants ofthis region of Peru, phrases as " Jungle charm "to refer tosomething nice own the place.These terms are mostly used by citieslike Iquitos, Tarapoto, Rioja, Pucallpa, Moyobamba, Picota,Tocache, Lamas, Bellavista and many other cities in the Peruvianjungle. Con el lema Periodismo profesional a su servicio, Diario Vocesofrece opinión, noticias locales, nacionales, entretenimiento,educación y cultura. Es el diario con más lectores de la región SanMartín.Diario Voces ofrece a sus lectores a través de diversosmedios de comunicación, tanto por prensa escrita, página web y estaaplicación para móviles el acontecer en la región San Martín yparte de Loreto.Actualmente cubre todas las provincias de lascuales mencionaremos algunas ciudades como Tarapoto, Moyobamba,Picota, Juanju, Nueva Cajamarca, Morales, La Banda de Shilcayo,Rioja, Tabalosos, Bellavista,y en Loreto ciudades como Yurimaguasentre otras.With the slogan Professional Journalism at yourservice, Daily Voices provides opinion, local, national news,entertainment, education and culture. It is the newspaper's readerswith the San Martin region.Voices newspaper offers its readersthrough various media, both print, website and mobile applicationthat the events in the region of San Martin and Loreto.It nowcovers all provinces of which mention some cities like Tarapoto,Moyobamba, Picota, Juanju, Nueva Cajamarca, Morales, La ShilcayoRioja, Tabalosos, Bellavista, and in cities like Yurimaguas Loretoamong others. Visión Play incluye los canales de Visión TV, canal de televisiónmultiplataforma y Visión Play Música.Play vision includes Vision TVchannels, TV channel and multiplatform vision Play Music. La misión de Activa Televisión es brindarunabuena programación a todos sus televidentes.Activa's mission istoprovide a good TV programming to all viewers. Disfruta de la mejor programación en vivo, información, música ydeporte de las estaciones de Lamas, Tocache, Bellavista y Tarapoto.Las tres estaciones en una sola aplicación.Somos una empresa deradio y TV, con directivos, operadores, trabajadores dedicados alperiodismo. Nos proyectamos a la comunidad, con el propósito decontribuir al desarrollo de un Perú con democracia, con bienestar,inclusivo y sostenible. Somos referentes de calidad en la radiodifusión peruana. 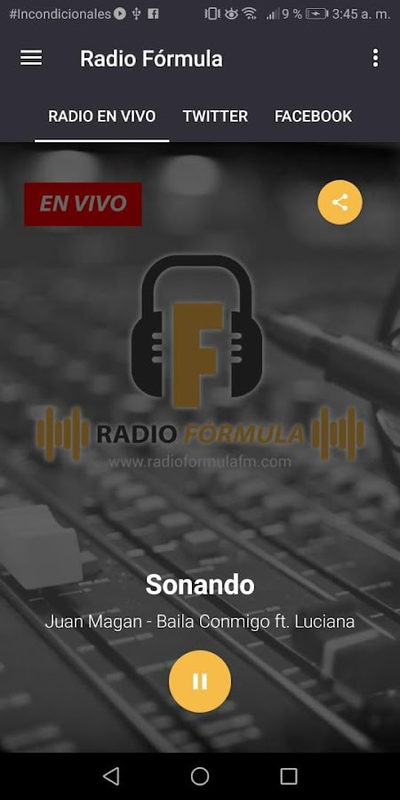 Nuestra mision es asimismo informar, educar,entretener y promover los valores sociales, ofreciendo unaprogramación variada e innovadora mediante una radio dinámica yparticipativa dirigida a contribuir a la formación de unaconciencia colectiva y al bienestar de los oyentes.Radio onlineTarapoto, Moyobamba, Rioja, Bellavista. 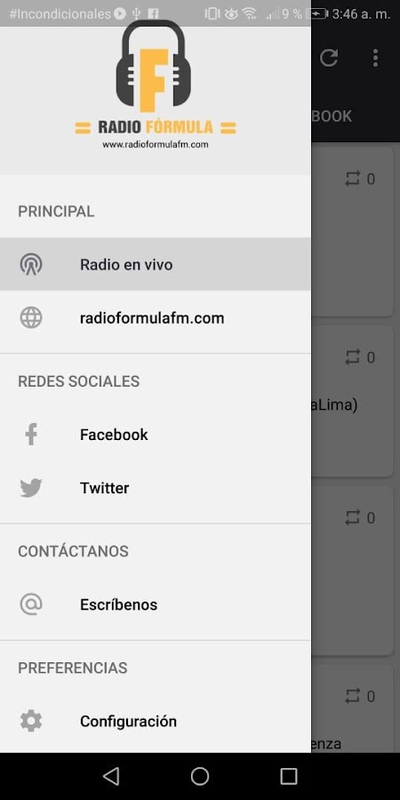 La mejor música, cumbia,reggaeton, pop, baladas, música del recuerdo con los mejoreslocutores de la región San Martín.Enjoy the best live programming,information, music and sports stations Lamas, Tocache, Bellavistaand Tarapoto. The three stations in a single application.We are acompany of radio and TV, with managers, operators, employeesdedicated to journalism. We project to the community, with the aimof contributing to the development of Peru with democracy, withwelfare, inclusive and sustainable. We are concerning qualityPeruvian radio broadcasting. Our mission is also to inform,educate, entertain and promote social values, offering a varied andinnovative programming through a dynamic and participatory radioaimed at contributing to the formation of a collectiveconsciousness and welfare of listeners.Radio online Tarapoto,Moyobamba, Rioja, Bellavista. The best music, cumbia, reggaeton,pop, ballads, oldies with the best speakers in the region SanMartin. Encuentra el lugar que estás buscando con el directorio máscompleto de la región San Martín.Todas la empresas, negocios yservicios de Tarapoto, Morales y La Banda de Shilcayo lasencontrarás aquí.Información sobre restaurantes, hoteles,florerías, hospitales, clínicas, bancos, cooperativas,veterinarias, etc. Además del número telefónico de cada empresa,encontrarás email, dirección y la ruta hacia el lugar a través detu GPS y Google Maps.Find the place you're looking for the mostcomplete directory of San Martin region.All companies, businessesand services Tarapoto, Morales and band Shilcayo find themhere.Information on restaurants, hotels, florists, hospitals,clinics, banks, credit unions, veterinary, etc. In addition to thetelephone number of each company, you will find email, address androute to the site through your GPS and Google Maps. La mejor cumbia bravaza se encuentra en los 89.7 FM de Radio LaNueva Ribereña. Transmitimos desde la capital de la diversión¡Tarapoto!.The best cumbia bravaza is on 89.7 FM Radio NewRibereña. We broadcast from the capital of Tarapoto Fun !. Vietnam Online Radio is a free online radio and radio applicationthat helps local and foreign audiences listen to the Voice ofVietnam and local radio stations anytime, anywhere. , just connectyour internet device. Vietnam Online Radio Application with majorbroadcast channels: + VOV1, VOV2, VOV3, VOV5 + VOV Hanoi traffic +VOV Traffic Ho Chi Minh City + VOV Mekong FM + VOH AM, VOH FM +Hanoi + JoyFm + An Giang + Bac Lieu + Bac Kan + Ba Ria Vung Tau +Ninh Binh + Binh Thuan + Yen Bai ... and some other radio stationsare constantly being updated Main functions of the application: +Online radio function + Function to update new radio channels +Timer function is off * Support to listen to hidden radio when exitthe application (when there is notice on the notification bar andscreen lock). Simple interface, easy to use. + Fast and optimizedspeed for your phone. + Totally free. Any comments or bug reports,please contact us by email: [email protected] Please installand experience offline! Everything new in the ANTENNE BAYERN app: All streams at a glance,directly on the homepage. To do this, remember songs for later andcreate song-Merklisten. In addition: always up-to-date with newsfrom Bavaria and the world, at the push of a button directly on thehomepage - in addition to weather, traffic and speed cameras andcurrent programmactions. And of course, you will find all theactivities of ANTENNE BAYERN bundled at a glance in the ANTENNEBAYERN App. The radio app from ANTENNE BAYERN is free and has thefollowing features: - all 18 music channels at a glance, directlyon the homepage - Playlists of these music channels with additionalinformation on the musical tracks - and memorization function forsongs and songs - Bosch wrong way driver warnings - Carplay -Latest news from Bavaria and the world - including urgent news bypush message - Current traffic news from Bavaria - Current flashmessages - Weather in Bavaria, forecast for the coming days, rainradar etc. - Merkliste for your favorite songs - Program sections -Contact options and much more. With this app you get not only thecurrent radio program from ANTENNE BAYERN, but also Bavaria'sfastest Geisterfahrer, traffic and lightning service from theANTENNE BAYERN Verkehrszentrum always up-to-date on your mobilephone. With the help of the ANTENNE BAYERN app, you are nowimmediately warned of dangerous situations by ghost riders. This ismade possible by the new app function - developed by technologycompany Bosch. The app alerts both wrong-way drivers and all otherroad users - and that in an instant via push message. Everymorning, you can wake up with the radio program from ANTENNE BAYERNor choose your favorite stream from over 18 webradios. ANTENNEBAYERN Top 40 ANTENNE BAYERN 80er Kulthits ANTENNE BAYERN 90er-HitsANTENNE BAYERN Hip Hop ANTENNE BAYERN Coffee Music ANTENNE BAYERNBlack Beatz ANTENNE BAYERN Chillout ANTENNE BAYERN Classic RockLive ANTENNE BAYERN Fresh 4 You ANTENNE BAYERN Hitmix ANTENNEBAYERN Hits for Kids ANTENNE BAYERN Lovesongs ANTENNE BAYERN Oldiesbut Goldies ANTENNE BAYERN Party-Hits ANTENNE BAYERN SchlagersahneANTENNE BAYERN Weihnachtshits ANTENNE BAYERN Workout ANTENNE BAYERNEvent Radio ANTENNE BAYERN Relax Take ANTENNE BAYERN with youwherever you go. News, Comedy and 18 Webradios around the clock:CoffeeMusic, Chillout or Oldies but Goldies. The right sound foreveryone. Get the ANTENNE BAYERN radio app on your mobile. Pure radio is an easy-to-use app which gives you access to all RFIprogrammes in 14 languages. All our news and entertainmentprogrammes (culture, music…) are available live. Or use your mobileto tune in on demand. RFI Pure radio in 14 languages: French,English, Cambodian, Chinese, Hausa, Kiswahili, Mandenkan, Spanish,Persian, Portuguese, Brazilian Portuguese, Romanian, Russian,Vietnamese. Adom TV App Provides Live Streaming of the Most Favorite Ghanaianchannel Adom TV Live. The channel provides Nonstop Live Streaming,Ghana Entertainment, Ghana Sports, Ghana News, Ghana Politics &Many More. Just Install & Watch the Best Entertainment on AdomTV Ghana. Now You Can Also Enjoy The Live Radio Streaming ofGhana's Most Favorite Radio Station Adom 106.3 FM Too. RJR 94FM is Jamaica’s best loved radio station with the mostbroadcasting experience. With 60 years of consistent, qualityprogrammes RJR 94FM is the outlet of choice for homesick Jamaicanswishing to tank up on news from home. RJR 94 FM App is a userfriendly media app that: 1. Allows you to listen to: • AudioLivestreams • Recorded shows (podcasts) – that you can eitherlisten online or offline (after downloading them) without any datausage. 2. Makes you a part of RJR 94 FM Radio community, giving youaccess to the most important online communities the broadcasterhas: • Facebook and the latest Facebook Posts (Integrated in theapp) • Twitter posts – just one click apart • Website, Instagram,etc… 3. Gives you an interactive media experience through: • RadioReporter Feature:: you can send pictures, audio, text, and videofrom your phone to the broadcaster • Notification Feature: you willbe able to receive information about the latest news, programs,contests and sport competition results directly from yourbroadcaster • Flash Poll Feature: let your voice be heard, byanswering to the hottest questions and polls the Radio will addressto you. Download it now! It’s not just a Radio, it’s your nextcommunity!